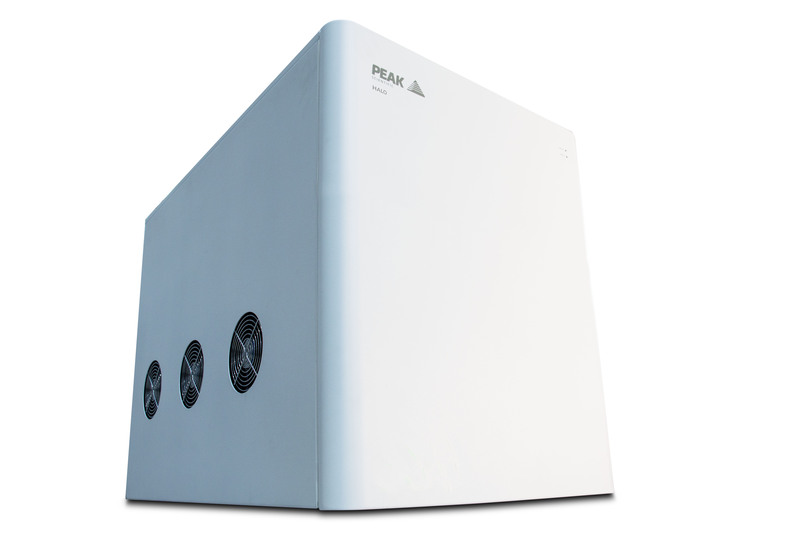 Peak Scientific has introduced its latest nitrogen gas solution to the market. Halo is a nitrogen gas generator specifically designed for MP-AES and is an evolution of the company's successful Genius 3055 nitrogen generator. Smaller than the Genius 3055, Halo produces 25 LPM of 99.5% or 10 LPM of 99.95% pure nitrogen with a supporting air supply of up to 36.5 LPM. An innovative feature of this gas generator is that nitrogen purity is guaranteed with real time measurement of oxygen content in the gas stream. The integrated oxygen analyser indicates if oxygen content increases to unacceptable levels, making it an ideal gas solution to produce the reliable high purity nitrogen MP-AES instruments require. This compact nitrogen generator, which takes up minimal valuable lab space, is also fully mobile and easy to transport, a perfect alternative to gas cylinders. It can comfortably operate at high altitudes making it an ideal mobile gas solution for all MP-AES applications, especially those involving field research.